48 Is There Anybody Out There? - Attack: None, only attempts to devirtualise Aelita. - First attempt by Jeremy to virtualise himself, the brainiac is stuck between the two worlds. 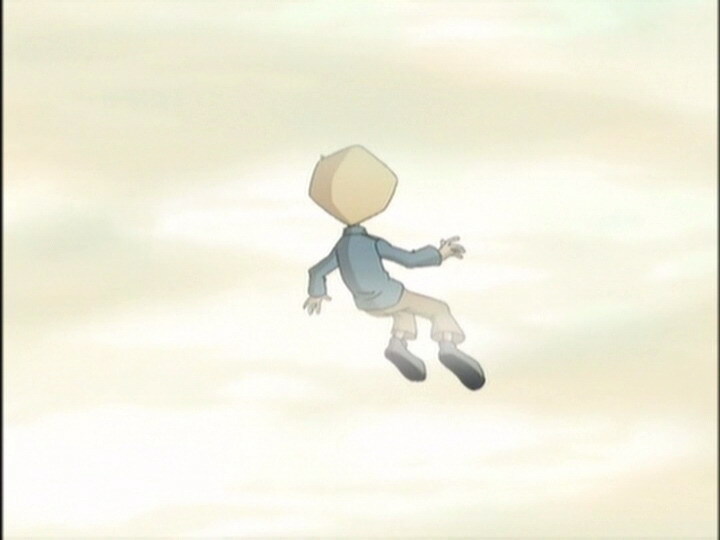 We can’t say if he has actually been to Lyoko, but he managed to touch Aelita’s finger in an intermediate space before returning to Earth. - Ulrich kisses Sissi to get Yumi out of the principal’s office to free Jeremy; he promises he’ll go out with her for two weeks. - Second episode in which Yumi takes care of the virtualisation. - Ulrich accepts to go out with Sissi for two weeks after she helps Yumi get out of the principal’s office. - The door to Jeremy’s room often changes colour (grey, brown and blue). - Jim’s t-shirt is blue instead of white at the moment when he sees Yumi running towards Jeremy’s room. - When she writes on the board, it’s not the sleeve of Ms Meyer that we see but Ms Hertz’. - The Way Tower in the Mountain Sector is activated while in this episode, XANA didn’t launch an attack! - The enter key on the factory computer keyboard has an arrow on it just before Yumi virtualises Ulrich, while it doesn’t have one normally. - When Yumi virtualises Jeremy, it shows him in the scanner room rather than the scanner itself. 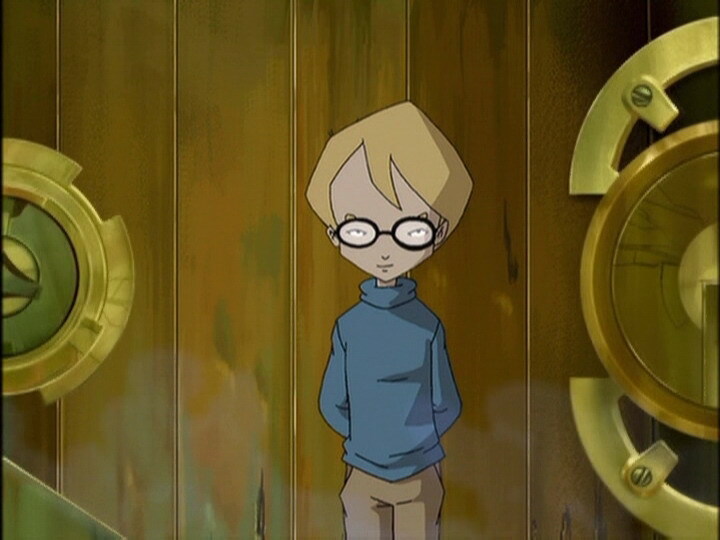 - After Ulrich destroys the two Bloks, Aelita enters the tower but it’s not the same one. The first tower was inside a canyon. - During Ms Hertz’ class we can see Mohamed Kantaoui of year 7 and Anouche Bedoyan and Ninon Costes of year 6. 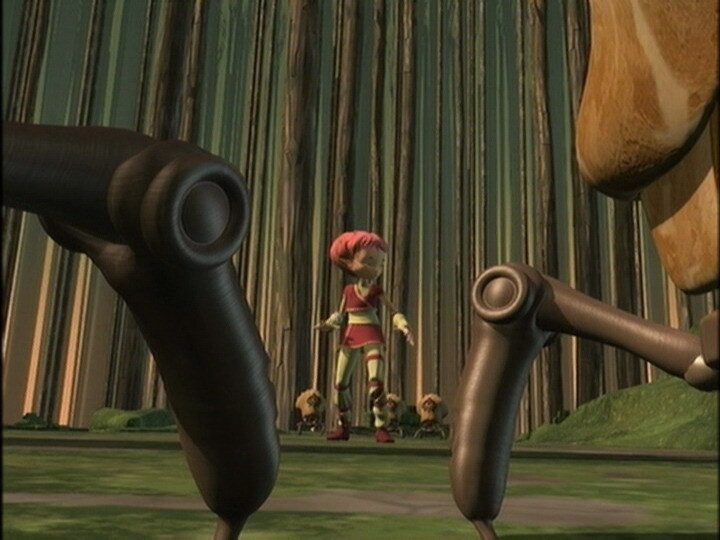 - Odd’s pants are entirely the darker shade of purple at the moment when Ulrich asks Aelita if there’s a way to recover the memory from another tower or computer. 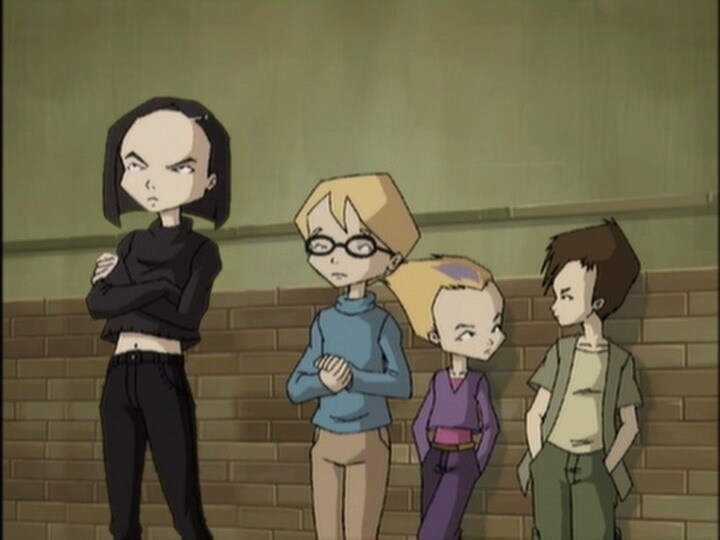 - Odd’s undershirt also disappears from his midriff in the scene mentioned above, as well as when Ulrich and Yumi return to the lab, and when Jeremy comes out of the scanner. 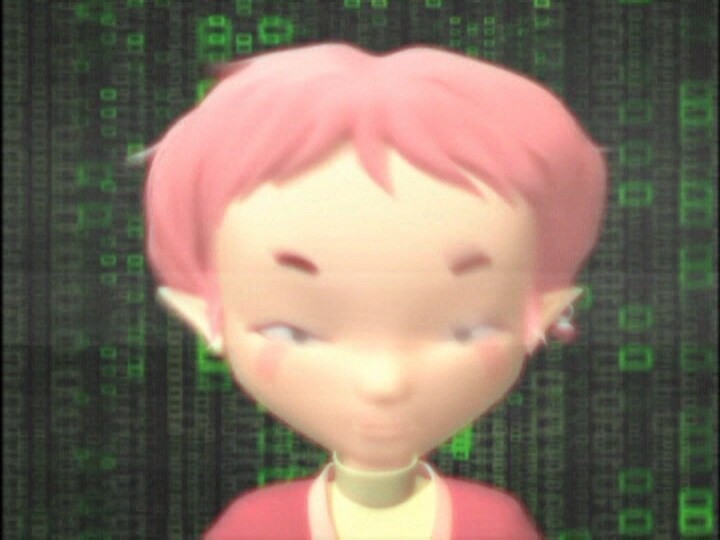 - Aelita’s outfit is reversed when she meets Jeremy. - At the moment when Yumi’s phone rings there’s a row of students in front of her that wasn’t there before and there are students from various classes. 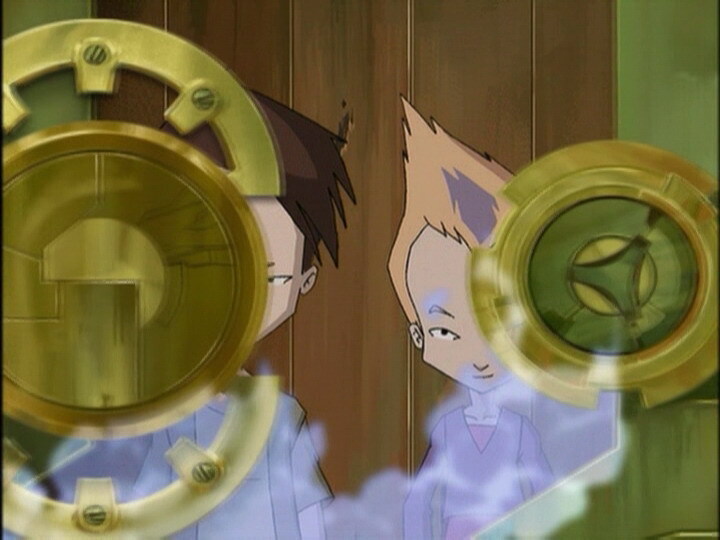 - The factory microphone is in Yumi’s right ear when Ulrich tells her that only Jeremy can operate the computer without making a mistake and when Odd tells her not to worry. - In the shot following the one where we see Odd sleeping, a book appears on his table when there wasn’t one before. When the whole class sees Odd sleeping, Yumi is in the background behind Jeremy even though she’s in the year above, as well as Julie Vigouroux of year 6 and two unknown students. The students change places often during the class. - The position Jeremy and Aelita are in when they touch resembles the famous painting “The Creation of Adam” by Michelangelo. - Odd has a GameBoy whose design is the same as the GameBoy Advance SP. The game he’s playing is the famous Tetris. Jeremy: If we keep working against each other, we’re never going to succeed! Never! 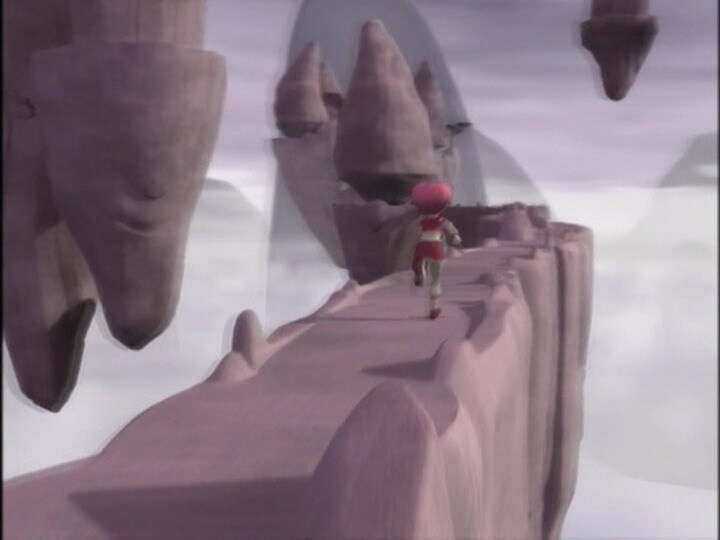 Aelita: It’s ok, but I think we should stop for tonight. Aelita: I’ll see you tomorrow. Yumi: What were you guys doing? Studying, huh? Ulrich: Not exactly! Tetrix Annihilator! ‘Til three in the morning! Yumi: I should’ve guessed it was something like that, nice going! Ulrich: Thanks. How’d you know I won? Jeremy: Ulrich, I really have to go! Ulrich: Where to? The boy’s room? Jeremy: Of course not! 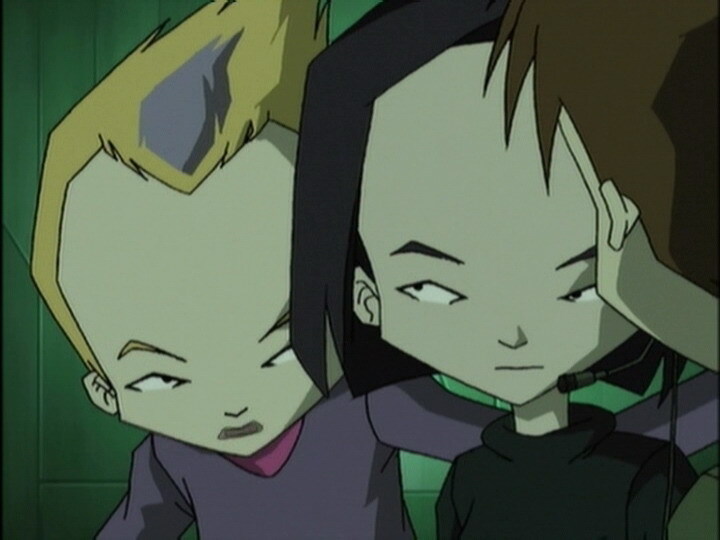 To Lyoko! Ms Meyer (after asking Ulrich to repeat what she’d just said, not getting a reply: Odd! Go on, help him! Yumi: It doesn’t feel right, I’m sorry, Jeremy! Jeremy: Yumi, listen…I had an argument with Aelita and I want to ask her to forgive me in person! Jeremy: Now, I’ve already calculated the variable virtual mass, so you don’t have to worry. Since I won’t be fighting, I used the default option for the exponential memory transfer, ok? As for the fractal and coding for the blocks, piece of cake! Yumi: Piece of cake?! Hey, this may be easy for you, but it sure isn’t for us! You do all this every time?! Jeremy: Well yeah! 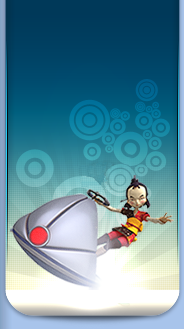 What do you think, that I take a nap while you’re on Lyoko? Odd: Your scanner is waiting, Sir! 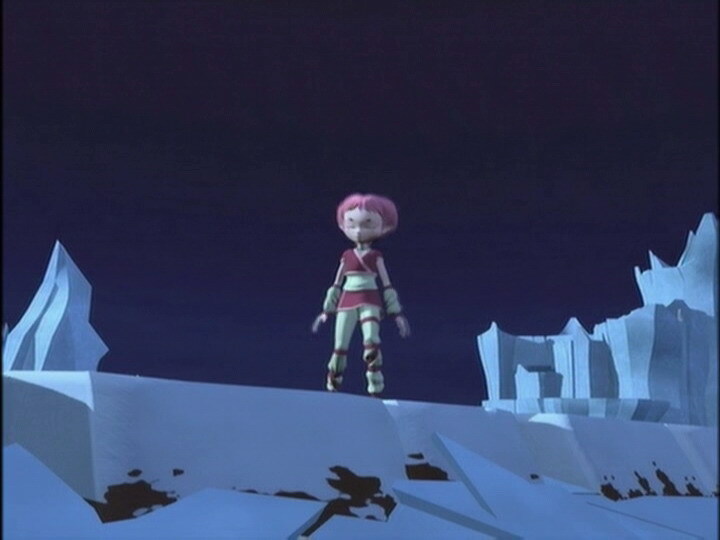 Aelita: He wasn’t transferred to Lyoko…and he didn’t come back to you, and so, he’s…he’s out there and…blocked somewhere between us! Don’t worry, he’s ok! Ulrich: A-are you in contact with him? Aelita: Yes. Uh, well let’s say I think what he thinks. It’s as if he were part of my mind. Odd: Don’t sweat it, Yumi! Aelita’s gonna get Jeremy home soon, I’m positive! XANA won’t have time to do anything! Ms Hertz: Jeremy isn’t here? Odd: Uh…he’s uh…in the infirmary, ma’am! Trying to get…unblocked? Ms Hertz: Not surprising. You children eat much too fast. Sissi: Hey, what kind of no good are you creeps up to now? Ulrich: None of your business! Sissi: Well, with that kind of answer, now I’m sure you’re up to no good! Odd: Can’t fool you, Sissi! Well actually…Jeremy’s working on a new project for making worms intelligent? Odd: That’s right! And he’d like to test it on you! 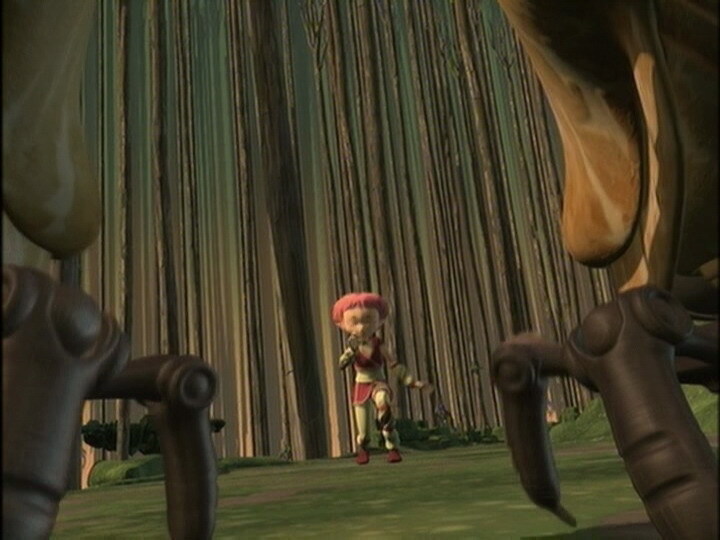 Ulrich: Aelita, I get the feeling you’re not alone out there! Ulrich: Well done, Jeremy would be proud of you! Ulrich: Huh?! What do you mean, Aelita? Aeita: He’s disappearing. The computer is confusing him with an outdated file. You’ve got to bring him back as soon as possible! Yumi: Well, um! It’s always good to exercise your mind after phys ed class, huh Jim? Odd: There’s absolutely nothing we can do! Sissi: The only way I would do something like that is if you promised to be a little more cool with me! And when I say “a little”, that means…well, you know! Ulrich: Ok, look…I’ll, um…I’ll go out with you for a…for a week, how’s that? Sissi: What?! A week?! To help Yumi the price is two months minimum! Ulrich: One month and a down payment! Sissi: What kind of…of down payment, hm? Yumi: You’re going to have to explain to me how you did that! Ulrich: I don’t wanna talk about it! Yumi, um…you don’t mind if we don’t see a lot of each other for, um…a month? Yumi: Ulrich, it’s your problem! Ulrich: But it’s not what you think, I swear! Yumi: If that’s all you can think of to say, don’t say anything! For the time being I’ve got a computer to connect, so save it, huh? Odd: I can’t believe that you…kissed Sissi! Ulrich: If you tell Yumi, you’re dead. Ulrich: Do it, Yumi. I have faith in you. Odd: A lot of the credit should go to Tetrix Annihilator, huh! Hope you weren’t planning on playing it! Ulrich: Don’t worry, I’ve got enough to do here without playing other games! Odd: What are you, her slave? With that down payment you gave her she should leave you alone tonight! Yumi: Down payment? What’s this all about, Ulrich? Ulrich: Uh…nothing…uh, see you later! Yumi: Wait, I want an explanation! Ulrich! Aelita: Jeremy? When you’re really in love, does it mean you fight all the time? Jeremy: No, not all the time! But…it can happen! Aelita: Really? You ought to tell that to Ulrich and Yumi! Jeremy: Hoho, I’d rather stay out of that one! Ulrich: But I’m not lying! There’s nothing between Sissi and me! Ulrich: Hey, wait, Yumi…let me explain! Yumi, are you still there? Yumi! > Go the the gallery! Download the script for this episode! View the LyokoStats for this episode! Currently ... on the website! ... in the Carthage community!